The quest for Lord Stanley’s Cup is upon us now, and the HabsWorld writers have shared their divinations for the first round series’. Today is the first article of two parts, based on games that begin tonight. Tomorrow’s article will focus on the games starting Thursday night. Bragging rights are on the line in HabsWorld pool land with a point system in place for accurately predicting the winners and the correct number of games for each series. (Norm) While the Flyers have significantly improved this season after failing to make the playoffs the season before, this mix of youth and veterans are going to push the defending champions right to the limit. But they are not ready to push past that point with the Penguins in their way. This battle for Pennsylvania will not be an easy one for Pittsburgh to win. However, since the start of 2018, the Penguins have been one of the hottest teams in the league. Leaders in scoring were (in order) Evgeni Malkin, Phil Kessel and Sidney Crosby. In Crosby’s case, it may have been the first healthy season where he wasn’t either first or second in team scoring; however, with 89 points I cannot call this a down season for him. Their defencemen are arguably the weakest point of the team, however, having Kris Letang manage a 51 point season is an advantage they did not have during last season’s Cup run. The plucky Flyers though survived an early season 10 game losing streak, to show they are a resilient bunch. Led by a top line of Sean Couturier, Claude Giroux and Jakub Voracek, Philadelphia’s forwards are a solid group. Their defencemen are relatively young with the exception of veteran Andrew MacDonald. Philadelphia is expected to start veteran Brian Elliott for Game 1, but Petr Mrazek will likely step in if he falters. I believe this series will boil down to goaltending, and Pittsburgh has an advantage there that the Flyers cannot match in Matt Murray. (Craig) This looks like it will be one of the best series of the first round, rekindling the Pennsylvania rivalry and bringing loads of high-end skill. The Flyers, featuring a reborn Claude Giroux that is a serious Hart Trophy candidate, will give the champs all they can handle, but in the end, the Pens experience pays off and they will squeak through. (Kevin) As the battle of Pennsylvania is set for its fourth playoff chapter over the last decade, one must wonder if the Flyers can recapture the magic of the last meeting in 2012. Pittsburgh will once again rely on their offence to carry them while the Flyers will hope for a series filled with tightly contested games. While Pittsburgh boasts far more depth offensively, the Flyers will be in untested waters with their young blue line who performed better than the Pens blue line over the season. However, if the Flyers D-corps can play up to par, they can present a very intriguing matchup for the offensive-minded Pens. Both teams remain no better than average between the pipes as both Murray and Elliott can be excellent but tend to lack consistency at times. This feels like a trap matchup where the Flyers might surprise but I just can’t predict the two-time champs being bounced in the first round. (Brian) This has the potential to be a really high scoring series. If that is indeed the case, it’s hard not to favour the Penguins here as they boast plenty of firepower. I still don’t trust Pittsburgh’s defence but I didn’t last year or the year before and they proved me wrong; I’ll give them the benefit of the doubt (for this round at least). (Norm) The high flying Jets are an exciting team to watch this season as many of their prospects have developed into stars and solid contributors to form a very deadly team with the second-best record in the NHL. While some pundits have labelled GM Kevin Cheveldayoff as reticent to make a “big” move for more immediate results in the past, Winnipeg fans have enjoyed the success of a calculated approach to building a team. This season’s trade deadline showed that their GM felt the time was right and acquired centre Paul Stastny, to help bolster an already deep spot in their lineup. The team’s defence corps has been solid and their goaltending position made a big improvement when Connor Hellebuyck took a big step forward to seize the number one role. Sophomore superstar Patrik Laine leads the team in goals and is expected to continue his output. Rookie Kyle Connor was a pleasant surprise too, given he was called up from the farm team in mid-October then went on to score 31 goals and 57 points. In Minnesota, their top line of Eric Staal, Mikael Granlund and Jason Zucker forward an impressive trio this season. In goal, the Wild have starter Devan Dubnyk who is solid. While Minnesota has a good team with decent depth, several solid veterans and a head coach in Bruce Boudreau that you can root for winning a title, I believe the loss of their #1 defender Ryan Suter will be too significant to rebound from against Winnipeg. The Wild will show some fight to take a couple of close games due to their goaltending and tight defensive game, but in the end, the Jets will soar. (Craig) With my beloved Habs out of the equation, I’m throwing my support behind the Winnipeg Jets – they’re fun to watch and have great fans. I think they bring too much firepower, with the likes of Laine, Ehlers, Wheeler and co. for the Wild to stand much of a chance, especially with Ryan Suter out of the lineup. If Hellebuyck plays well the Jets make this look easy, setting up a dream matchup with Smashville in the second round. (Kevin) The Jets highly skilled roster is set to take on the Minnesota Wild. The Wild’s roster lacks attention-grabbing power, yet they always find themselves in the playoffs. This time, they will do so without workhorse defenseman Ryan Suter, a gigantic blow considering the capable offensive machine that is the Jets. The Jets hold the advantage (at least in my mind) all over the ice (O, D, G) but remain an untested group. Some may select Dubnyk over Hellebuyck but I’ve never bought into the Dubnyk hype, choosing to believe that he is a product of the stingy defensive Minnesota system. As far as the games go, the Wild must get into the heads of the Jets in the first two games if they want any chance at winning this series. If the Jets get any kind of confidence or momentum going in this series, they could easily ride that wave all the way to the finals. (Brian) I really like Winnipeg’s chances, assuming that Connor Hellebuyck doesn’t get fazed by the postseason pressure. They’re quite deep up front and have a very strong defence to go with it. Meanwhile, the Wild won’t have Ryan Suter, their top defender which will hurt them considerably. Minnesota has received big years from the likes of Jason Zucker, Eric Staal, and Mikael Granlund but that group doesn’t seem like a core that can lead a team to a postseason series victory. (Norm) It’s been a magical season for the Golden Knights. They have defied the odds to surprise nearly everyone in the hockey world, to rise to the 5th spot in the NHL’s standings. GM George McPhee rolled the dice with his expansion draft plan and hit the jackpot with selecting players like William Karlsson, Marc-Andre Fleury, and Jonathan Marchessault. Hiring former Habs assistant coach Gerald Gallant as their head coach was a winning move, since he’s helped guide the ragtag group of castoff players and non-protected players from the other 30 NHL teams. Ok, I’m done with the gambling metaphors. Los Angeles has a lot of core veterans that have been down the playoff road before to the Stanley Cup. Their success has been, and will have to again start with goaltender Jonathan Quick. Having a healthy starting goalie will be a huge benefit to the team, something they did not have last season. An equally important factor will be the presence of center Anze Kopitar, who also rebounded from a poor season a year ago, and managed to lead the team in scoring with 92 points. Linemate and captain Dustin Brown also had a bounce back season and managed 61 points when many media and fans thought his career was nearly over. During the team’s sixth game of the season versus Montreal, forward Jeff Carter suffered a serious ankle injury, but managed to return to score 19 points in the team’s last 22 games. His presence provided a significant spark to the team, who managed 8 wins out of the team’s last 10 games. For this series, I favour the Kings with their veteran presence, overall depth and playoff winning experience to defeat the Golden Knights, and end their fairytale-like start to their NHL history. 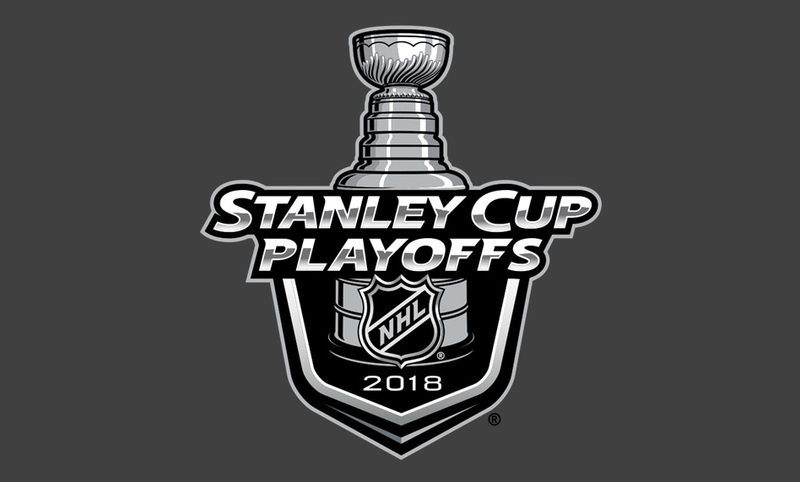 (Craig) While the Golden Knights have been the feel good story of the season I think they’re in tough against the Kings in round one. Vegas has cooled off in the second half and the Kings have been here before, making this a prime upset opportunity. The experience of Kopitar, Doughty and Quick pays dividends, unless Marc-Andre Fleury can steal. (Kevin) Over the last nine years, only four teams have touched the cup: Pittsburgh Penguins (3), Chicago Blackhawks (3), Los Angeles Kings (2), Boston Bruins (1). The Kings look to join the top two teams of the decade this season after a bit of a reset last year. To do so, they’ll have to upset the division winners and feel good story of the year in the Vegas Golden Knights. The Knights are without question the biggest surprise on this list of 16 qualified teams, and yet they come in as the favourite after winning the division. Their reward for winning the division, facing the best defensive team in the entire league, and a team that’s battle-tested to boot. Give Vegas the offensive advantage after the regular season, but if Jonathan Quick can find his form, or if Vegas don’t hold serve on home ice to start the series, this one may quickly look like the Nashville-Chicago series of last year. Otherwise, expect a long, grueling, hard-fought battle until the very end. (Brian) In the playoffs, top players tend to get leaned on a lot more and that’s where I get a little concerned with Vegas. They’re a well-balanced team but do they really have that go-to player? (William Karlsson had a fluky year and James Neal is a nice player but not a core threat either.) Jeff Carter is healthy for the Kings and Anze Kopitar is always a threat. Assuming Jake Muzzin is healthy (and it seems like he’ll be ready to go), I like their defence a lot better. The Golden Knights have shocked everyone en route to an incredible year but their run should stop here.